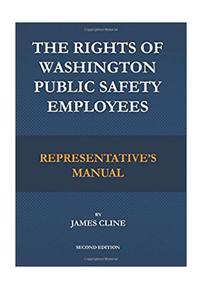 We make available for purchase Jim Cline’s leading treatise on Washington public safety labor law and his lengthy book, The Rights of Washington Public Safety Employees, Second Edition. More information can be found here. The price of the book is $60.00. Clients and Premium Content Subscribers are allowed to purchase the book at the discount price of $30.00. The book may be purchased on Amazon or through Kindle. Jim is planning to publish at least two more books in the near future and those will be available for purchase here as well. 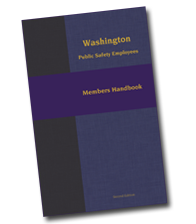 The second edition of Jim Cline’s Washington Public Safety Employees Members Handbook is now available. This 56 page book details the legal rights of Public Safety Employees in the state of Washington, including privacy rights, the right against involuntary incrimination, the rights of officers involved in a use of force incident, the right to a fair discipline process and much more. Download the FREE pdf version. Download the FREE Kindle version. Purchase the print version on Amazon for $3.59 including shipping. © 2019 Cline & Associates. All Rights Reserved.